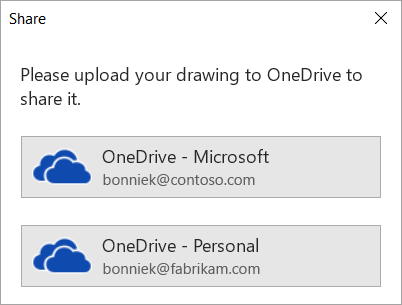 When you save your drawing to OneDrive for Business or SharePoint Online, you can work on a drawing at the same time as your colleagues. To work on a drawing at the same time, all authors on Windows need Visio Online Plan 2 and to be using the Visio desktop app. 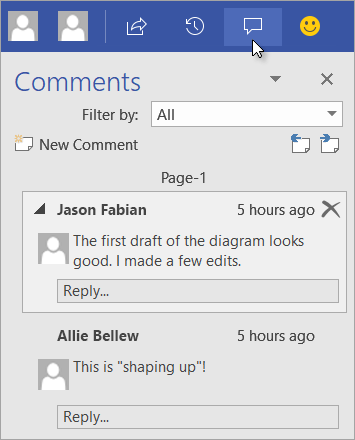 Open your Visio drawing in the desktop app and choose Share in the top-right corner of the ribbon when you're ready to collaborate. In the Share dialog box, enter the email address of the person you'd like to share the drawing with. If you already have the person's contact info stored, you can just enter the name. The drop-down list lets you determine with whom you want to share your drawing. If your file has already been saved to the cloud, an email invitation will be sent to your invitees. 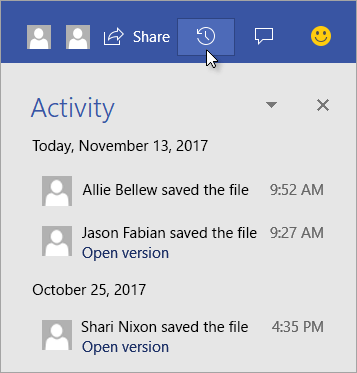 If you haven't saved your drawing to OneDrive for Business or SharePoint Online, Visio prompts you to do so. After you've saved your file to the cloud, the email invitation will be sent. 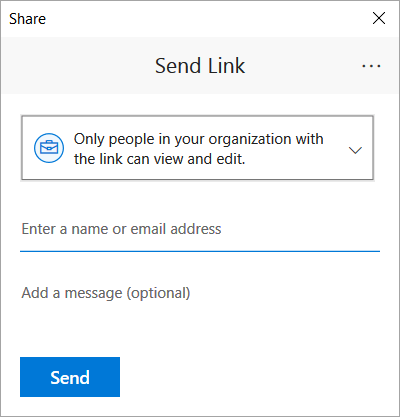 Note: For more information on sharing, see Share SharePoint files or folders in Office 365. Open the drawing in the Visio app and start working in it. If someone else is viewing or working in the drawing, his or her thumbnail picture appears in the top-right corner of the ribbon. 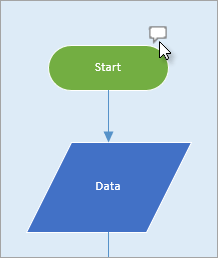 Visio will alert you when people enter or leave your drawing. To review and add comments, choose Comments . You can also reply to or delete comments. If you want to see where someone has commented anywhere in the drawing, click on a comment icon. To add your own comment to any shape, right-click the shape and choose Add Comment. If your updates and other authors’ updates don't conflict, they'll be merged automatically and you don’t need to do anything else. The Activity pane lets you see the complete list of changes made so far, including a time stamp of when the file was saved. Choose Activity on the ribbon to see the Activity pane. To see an earlier version of the drawing, click Open version under anyone's name listed in the Activity pane.